Believe it or not, this odd spaceship-like object is actually a bicycle. 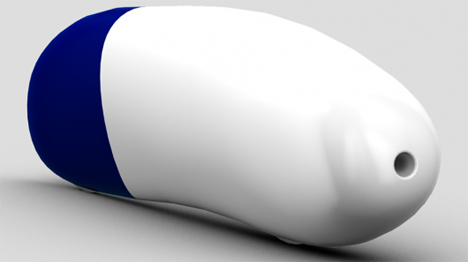 But of course, it’s not just any bicycle – it is the machine that the University of Liverpool team want to use to smash the current bicycle land speed record. The current record, set in 2013 by a Dutch team, is 83.13 MPH. The Liverpool team thinks they can get this odd machine, called Arion1, up to 90 MPH. The incredibly aerodynamic design of the machine is only the beginning. Inside of the shell will be a single biker sitting just five inches above the floor of the capsule. Before participating in the event, the rider will have to undergo nearly a year and a half of training for the grueling ride. The rider’s legs pumping will produce more than 700 W of power – enough to light the average UK home. 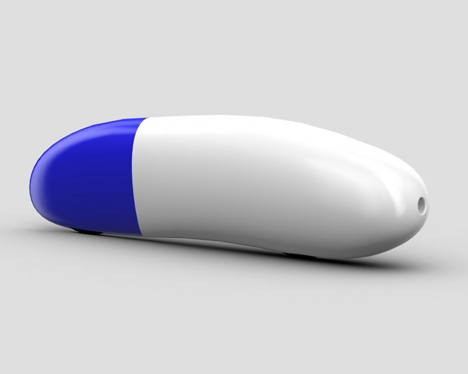 A beefed-up transmission will then transfer the power to the wheels and possibly move the University of Liverpool Velocipede Team past the current world record speed. Rather than a traditional windshield, the Arion1 will use a camera and monitor system to let the driver see where he or she is going. This setup reduced drag and lets the driver’s head stay in the perfect position. The bike is still in its concept stages and will be built according to the physical specifications of the driver, optimizing its speed. It will weigh in at just a bit less than 55 pounds, and the team hopes to have it ready to compete by May of 2015.